If you are looking for a stylish, functional knife for every day carrying, you can not go wrong with the Kershaw Corral Creek Jigged Bone model 3115JB. This traditional pocket knife has a nail nick opening with a lockback mechanism for simple closure. 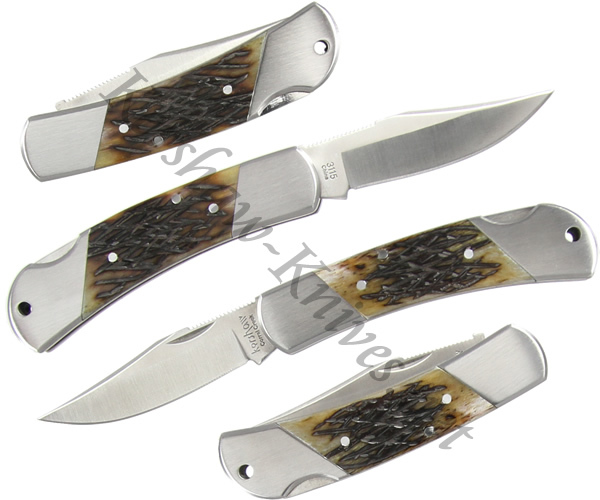 The knife is constructed from dependable 8CR13MoV stainless steel with stylish jigged bone overlays on the handle. This mid-sized knife is comfortable to carry in a pocket, or it can be attached to a lanyard.